Call 416.533.3706 to reserve your place! YES! 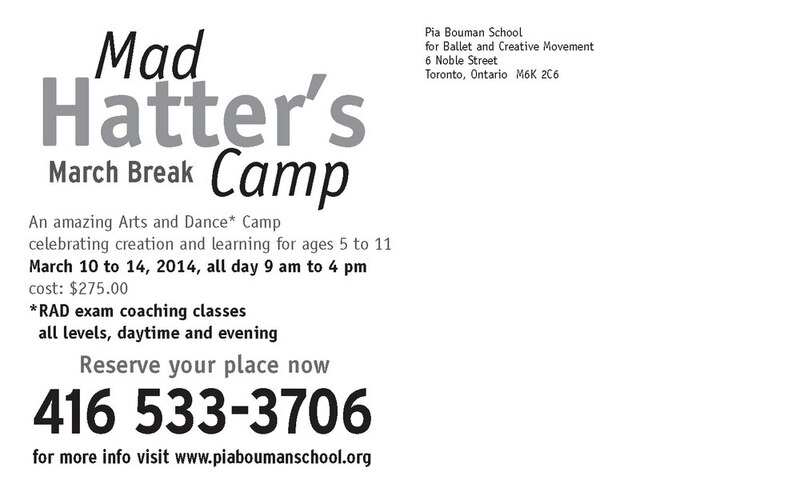 Jennifer Phelan will be teaching ART at the MAD HATTERS dance and arts camp. Inspired by the animated movement of the Cheshire cat, we will be making our own moving cat sculptures by learning how to create a simple mannequin puppet! Through mixed media, students will explore how colours, shape, and proportion play a big part in bringing a personality as vibrant as the Cheshire Cat's to life. And of course, what's a puppet without a puppeteer? We'll end the week with a lesson in puppeteering and a then show of our skills in a round of charades!